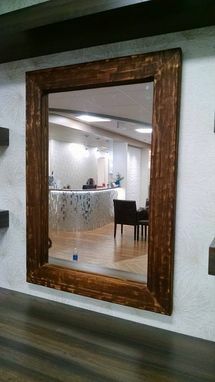 Our clients were looking to display a new laser face mapping machine for clients and modernize their reception area. 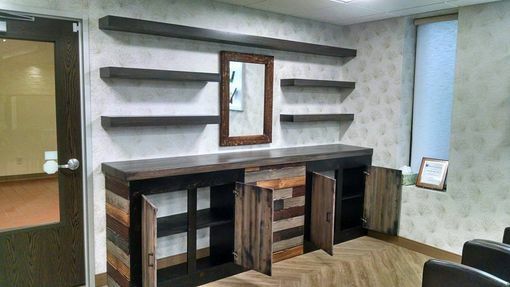 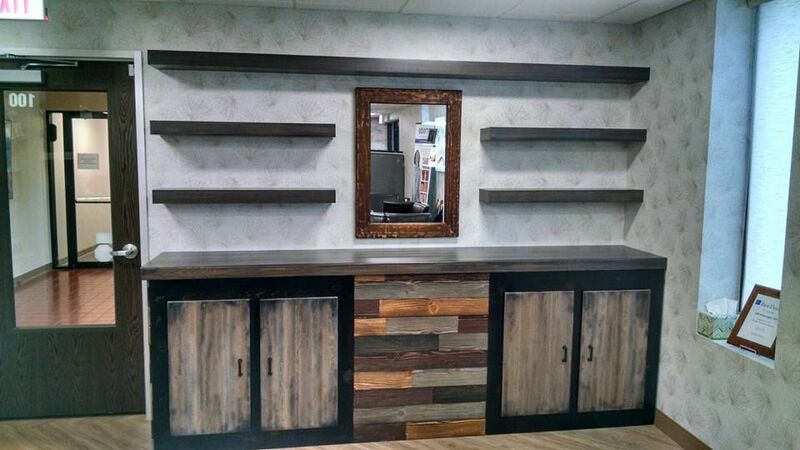 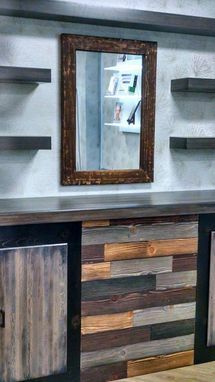 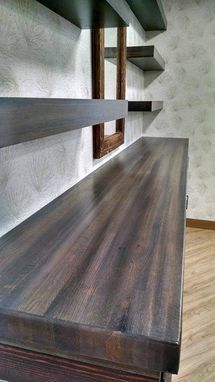 Our team brought their vision to life, integrating a faux barnwood panel and the blended stain for the tops and shelves. 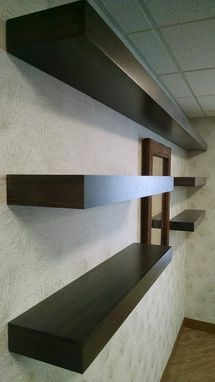 This unit and the shelves can be ordered together or individually, stained any color you desire and custom sized to your specifications.